Free wired and wireless high-speed Internet access in every room. Free deluxe continental breakfast featuring Belgian waffles, cinnamon buns and much more. Just 20 miles from Newport and South County beaches. 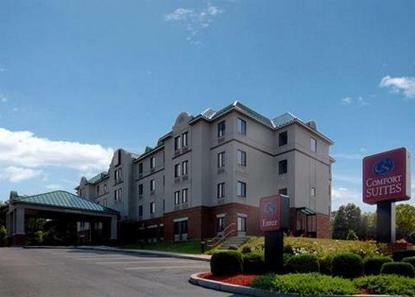 Only 30 miles from Mystic, CT and Foxwoods Resort Casino. T.F. Green Airport is eight miles away. Use hotel driving directions. Not interactive driving directions. All Comfort Suites are smoke free.